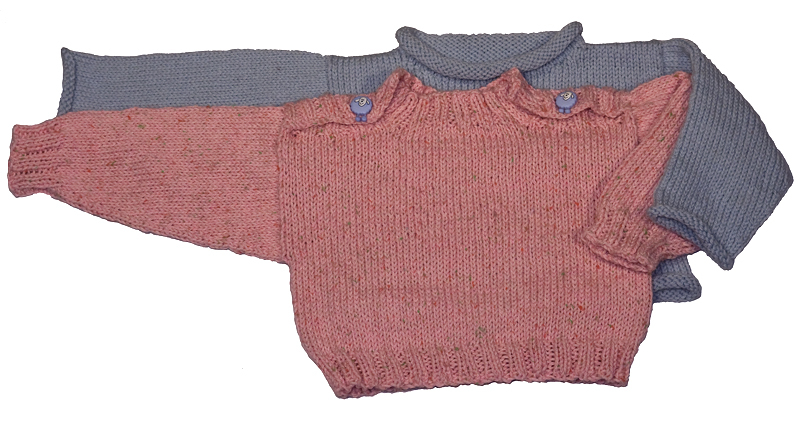 This simple baby sweater knitting pattern comes in two styles — one with a rolled hem, neck and cuffs and one with a ribbed hem, neck placket and cuffs. Both versions are included on this pattern. Both fit over that adorable baby head easily and comfortably and look great — and the only seams you sew are at the shoulder! This version has intructions for knitting with circular needles. Click here to purchase our straight needle pattern. 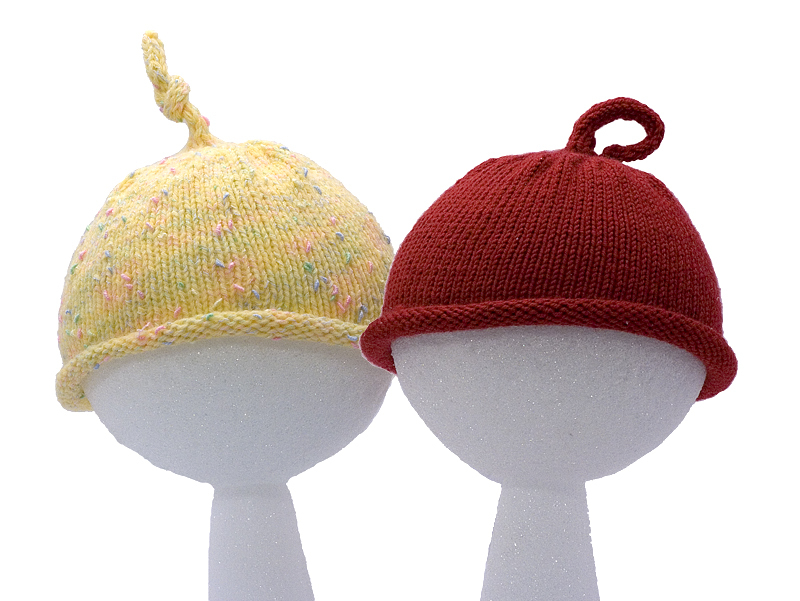 Sweet and simple baby hats designed to match our Baby Pullover Sweater. This pattern is a can't miss! Makes a great gift and knits up quickly. 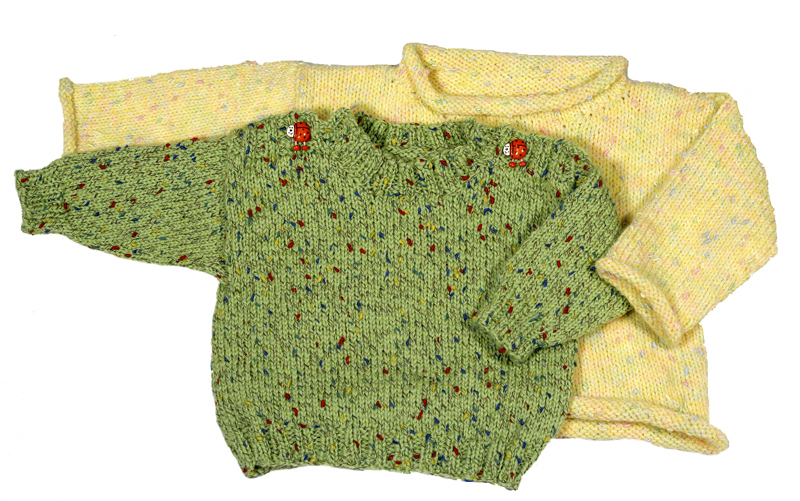 Make the matching hat and sweater for best baby gift ever!